The existing bankruptcy provisions which are contained in Volume V of Federal Law No. 18 of 1993 (UAE Commercial Transactions Law) are to be repealed. Other bankruptcy-related provisions in other UAE legislation remain untouched. Although the new law applies more widely, it will not apply to government entities or entities incorporated and licenced to operate in a financial free zone such as the DIFC. The conditions necessary for commencement of relevant insolvency procedures draw in part on those used under existing French and Germany insolvency laws. The insolvency regime for traders and others carrying on business activities for profit is extended to include new streamlined rescue procedures, comprising a ’financial re-organisation’ procedure and a ‘protective composition’ procedure. Formal insolvency procedures (Bankruptcy Proceedings) are retained but with modification..
A ‘streamlined’ bankruptcy process is available for ‘small’ bankruptcies. For individuals who are not carrying out any business activity, the insolvency regime is extended to include a rescue procedure, where appropriate, and a formal insolvency procedure. There are new provisions dealing with priority funding and ‘financial collateral’. The new law simplifies the concept of insolvency set-off. The concept of both civil and criminal insolvency sanctions are retained but with modifications. The new law empowers the UAE Council of Ministers to set up a Commission to administer the ‘financial reorganisation’ procedure as well as maintain a centralised register for disqualified persons and directors and a centralised register of bankruptcy restrictions and orders. Watch an interview with James Farn on Emirates 24/7 Television screened on the 17th of January 2012. 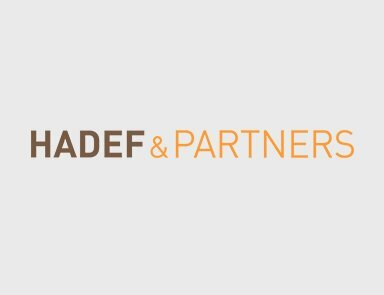 Hadef & Partners and Clifford Chance have been instructed by the UAE Ministry of Finance on behalf of a number of UAE government stakeholders, to assist in formulating key policy proposals and to draft a new proposed federal bankruptcy law for the UAE, based on a comparative study of insolvency laws in a number of other legal jurisdictions, including England and Wales, France and Germany. The proposed changes in the new law introduce new concepts and procedures. The general aim of the new law is to create a more modern, debtor-friendly insolvency regime, with particular emphasis on the rescue of a debtor’s existing business or the restructuring of a debtor’s liabilities where the debtor gets into financial difficulties, rather than formal liquidation or bankruptcy. Some of the insolvency procedures described below draw heavily on existing French insolvency laws. At the moment, the draft law is going through a detailed consultation process after which it will be presented to the UAE Cabinet (Council of Ministers) as the first formal step in a process which hopefully will lead to promulgation as a federal law. The existing insolvency provisions which are contained in Volume V of Federal Law No. 18 of 1993 (UAE Commercial Transactions Law) are to be repealed. Other bankruptcy-related provisions which can be found in other pieces of legislation, including the UAE Penal Code, UAE Civil Code and the UAE Commercial Companies Law remain untouched although they will be superseded by the provisions of the new law to the extent that new law deals with the same subject matter or issue. Part V of the UAE Commercial Transactions Law only provides for the bankruptcy of a ‘trader’ (as defined under that law). There are only very limited provisions in the UAE Civil Code which apply to the bankruptcy of an individual (non-trader). The existing bankruptcy provisions have historically been little used. There were perceived to be a number of reasons for this, including the negative impact or ‘social stigma’ attaching to insolvency generally within the UAE. The extent to which both criminal and civil sanctions may apply to a debtor in the context of a insolvency proceedings, including the ‘criminalisation’ of insolvency in certain areas - for example, it is currently a criminal offence if a trader fails to file for bankruptcy within 30 days from the date on which that trader ceases to pay his commercial debts. The current bankruptcy provisions contained in the UAE Commercial Transactions Law are limited to formal bankruptcy proceedings and a (limited) composition procedure both of which are court-driven and heavily dependent on oversight (and the ultimate sanction) of a bankruptcy judge. Whilst a trustee may be appointed to assist with the process of insolvency administration, he doesn’t have any decision-making power, meaning that all applications have to be made through the court. Any action taken in the context of prescribed insolvency proceedings must be subject to formal court approval. The current provisions do not, therefore, offer any informal insolvency procedures (whether or not court-driven) to help survival of an existing business or the restructuring of a debtor’s liabilities. Current insolvency procedures allow secured creditors to continue (or even commence) action against the debtor during current bankruptcy proceedings. This arguably works against attempts to reach meaningful arrangements or settlements with a debtor’s creditors. The requirements for entry into formal insolvency proceedings are relatively high, including document-intensive filing procedures with the court. Simpler, more cost-effective and less time-consuming procedures would help to promote a more debtor-friendly, rescue-driven insolvency regime. The draft law aims to deal with these issues in a number of new and (in certain areas) novel ways. Some of the key proposals are detailed below. including a ‘trader’ (as currently recognised and defined under the UAE Commercial Transactions Law). The new law will not apply to government entities or entities incorporated and licenced to operate in a financial free zone such as the DIFC which has its own insolvency law). For the first time, new and detailed provisions will apply to individual debtors not engaged in any business activities under a separate and distinct personal insolvency regime. Entities such as credit institutions and insurance companies will remain, for the time being, subject to the ‘special’ insolvency provisions which apply to them under existing UAE laws. The scope of the new law is therefore wider than the provisions contained in Volume V of the UAE Commercial Transactions Law which are limited to the activities of a ‘trader’ and no one else. (b) is in (or has not yet reached) a state of ‘over-indebtedness where it can be proved to the satisfaction of the court that the debtor’s assets do not cover the debtor’s existing payment obligations at any point in time (broadly, a position where the debtor’s assets no longer cover his liabilities). a debtor-led but court-driven ‘protective composition’ procedure which provides protection to a debtor who is in financial difficulties in order to enable that debtor reach a compromise with his creditors and to avoid formal insolvency proceedings (Protective Composition Procedure). The Financial Reorganisation Procedure is designed to encourage a private, consensual settlement and rehabilitation of a debtor’s liabilities and will be administered by a separate centralised commission for financial restructuring to be established by the Council of Ministers (Commission). The Commission will have access to a panel with appropriate mediators with sufficient expertise to help debtors and their creditors reach a negotiated settlement for the rescheduling of their debts. Crucially, there is no court involvement in respect of this procedure (in contrast to the Protective Composition Procedure which will remain court-supervised and therefore subject to the overall control and approval of a judge). The Protective Composition Procedure includes a moratorium on legal process (including enforcement of security by secured creditors) and allows the court to order a rescheduling of a debtor’s debts up to an agreed statutory time limit. A defined observation period allows the debtor to prepare a draft protective composition plan with the assistance of an officeholder appointed by the court. Protective Composition Proceedings may be initiated by the debtor, the court and may be initiated by a concerned party if the debtor (being an individual) dies. No Protective Composition Procedure may be commenced if (i) the debtor has already been subject to an earlier Protective Composition Procedure; or (ii) the Court has ordered the commencement of formal insolvency proceedings against the debtor. (ii) a formal liquidation process which results in the formal liquidation of the debtor’s business or company. Bankruptcy proceedings may be commenced by the court if any earlier Protective Composition Procedure has been applied in relation to the debtor’s property and affairs and has failed or if the debtor in an actual state of cessation payments or over-indebtedness. (ii) a formal insolvency procedure involving the appointment of an office holder and liquidation of the debtor’s assets. Such proceedings may be initiated where, despite the debtor’s good intentions, he is able to demonstrate to the satisfaction of the court that he is unable to pay (or he has no reasonable prospect of being able to pay) all of his debts, whether now due or in the future. Debts include present, future and contingent debts. Commencement of the Personal Over-Indebtedness Procedure may be requested by the debtor, a creditor of the debtor (subject to certain conditions) and may also be initiated by concerned parties if the debtor (being an individual) dies. The new law contains ‘priority funding’ provisions which permit new financing following the commencement of Protective Composition Procedure or Bankruptcy Proceedings. These provisions allow priority over all other existing secured and unsecured creditors but are balanced by the need to protect the debtor’s existing secured and preferential creditors. The status of preferential creditors and the order of preferential payments under the existing insolvency law is modified. The new law simplifies the concept of insolvency set-off. The new law does away with the requirement of ‘close connection of claims’ and extends the principle of insolvency set-off to all mutual credits, mutual debts and other mutual dealing with between the debtor and any creditor of the debtor who seeks to prove or claim for a bankruptcy debt. Insolvency set-off will be mandatory (and therefore cannot be contracted-out of). (b) security arrangements where the collateral taker obtains a security interest in the collateral, coupled with physical possession or control of those assets (but does not become the owner of them). (ii) take any title transfer or security arrangements out of any ‘anti-avoidance’ provision under the new law (so that any collateral financial arrangements may not be declared invalid or reversed solely on account of them coming into existence in a period prior to insolvency of the counterparty). Directors and managers of their company and any person who ‘knowingly’ assisted such persons may, on the making of a Contribution Order by the court, be made personally liable (on a joint and several basis) to make a financial contribution to a debtor’s estate where negligent or wilful acts/omissions on their part have led to a shortfall in the company’s assets on a liquidation. The court may also make a Contribution Order against such person(s) in certain other defined circumstances. The court may make a Disqualification Order against any person where a Contribution Order has been made against that person or where that person is found guilty of a specified criminal bankruptcy offence. Criminal sanctions also focus on fraudulent trading and the deliberate or reckless incurring of liabilities pre-insolvency. The criminal sanction for failing to file for bankruptcy within 30 days from date of cessation of payments is replaced by a new provision which allows the Court to impose a Financial Disqualification Order on any person who, being subject to Bankruptcy Proceedings, fails to request the commencement of those proceedings within 45 days from date of commencement of cessation of payment or over-indebtedness. Existing criminal sanctions which deal with bounced cheques and other bankruptcy-related acts as currently set out in the UAE Penal Code are retained. Specific provisions relate to the discharge of a debtor from his bankruptcy debts. The new law empowers the Commission to create and maintain a centralised register for disqualified persons and directors and a centralised register of bankruptcy restrictions and orders. Although Hadef & Partners cannot be certain that the new law will include all of these key provisions, it is hoped that they will be retained without material amendment. As the emphasis of the draft law is to promote a rescue or rehabilitation culture as an alternative to formal insolvency procedures, it will be interesting to see how these are received generally and how they will be applied within the wider business community in the UAE if and when the draft completes its formal passage through the legislative process.